A corer begins to bore into a fokienia tree. 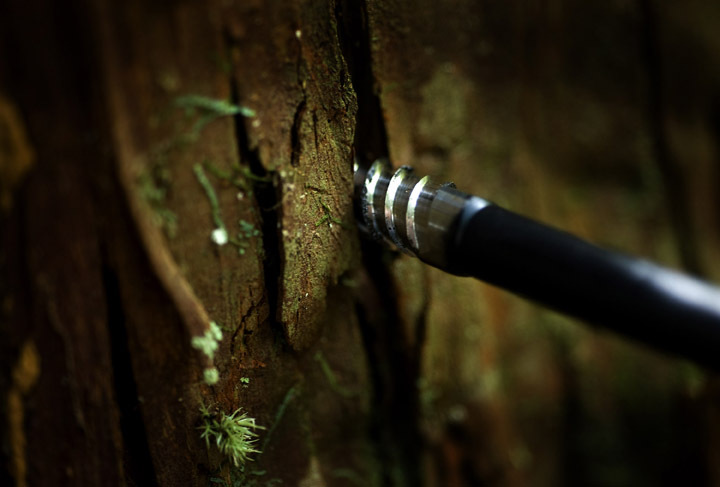 The five millimeter corer is hollow and as it drills into the tree, a smal core of tree rings is encased in the corer. The core is then removed and placed in a tube for transport back to the lab where it will be mounted sanded and the tree rings analyzed.